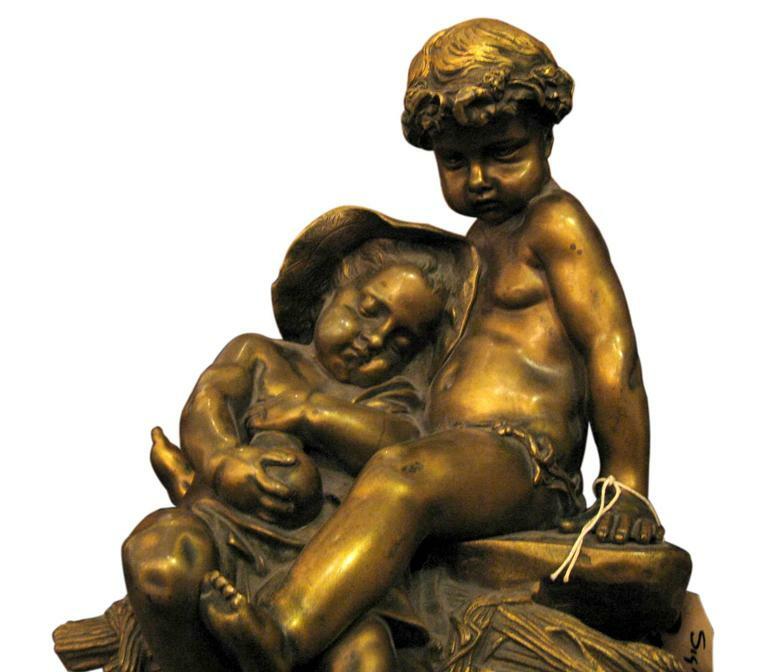 A rare brown patina bronze figural sculpture of two young putti sitting on a sheaf of wheat. Signed by Jean Marie Pigalle (1792-1857). 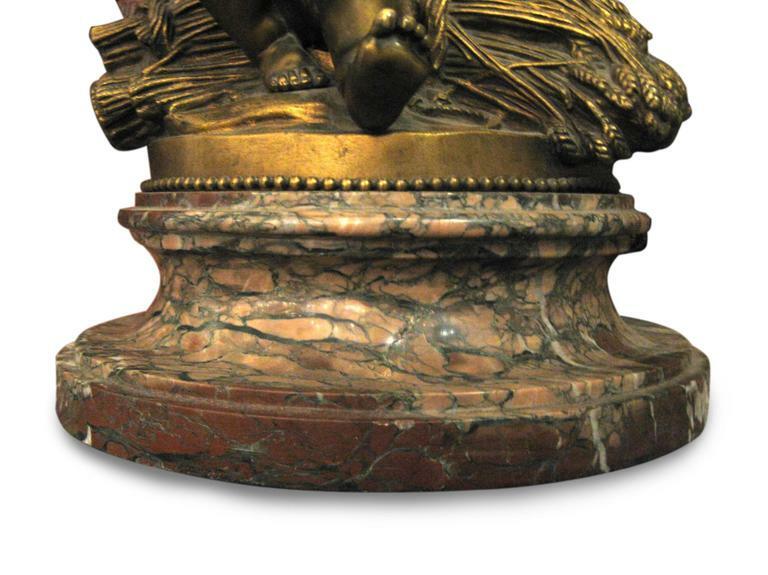 Raised on rouge marble base, circa 1850. 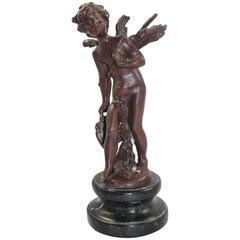 This item can be viewed at our 5 East 16th St, Union Square location in Manhattan. 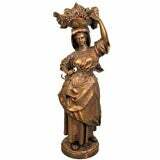 1890s pair of pot metal water jug statues with marble base with brass nameplates. This can be seen at our 2420 Broadway location on the upper west side in Manhattan. 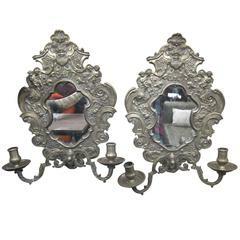 1890s pair of ornate distressed mirrored bronze two-arm candle sconces with putti. These can be viewed at our 5 East 16th St location in Manhattan. 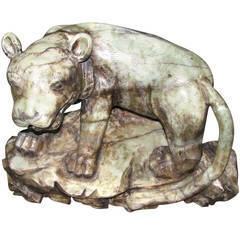 Beautifully hand-carved green onyx lion statue with desirable patina throughout. This can be seen at our 1800 South Grand Ave location in Downtown LA. 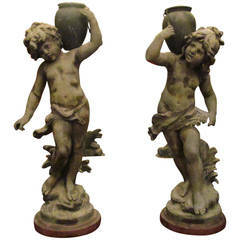 Two finely carved marble child busts. 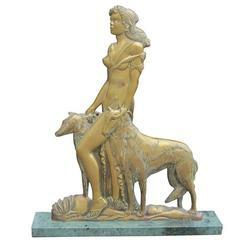 On grey marble base. Signed. L. Gregoire. 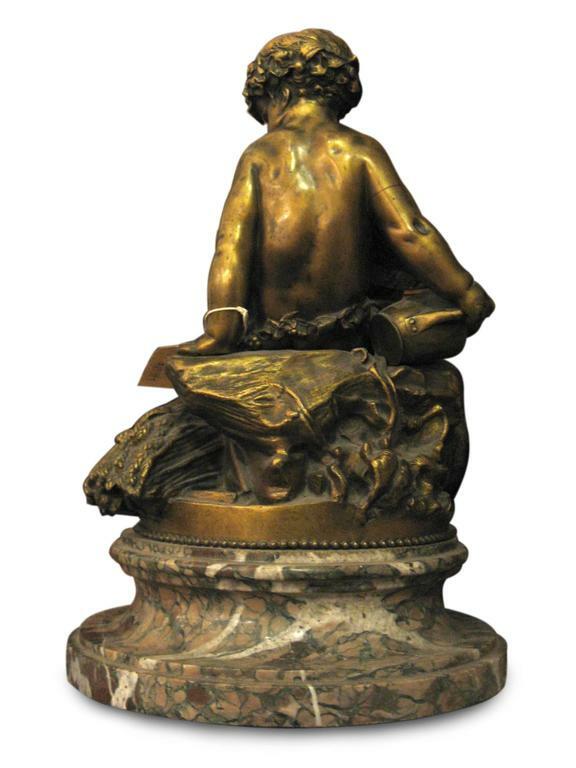 France late 19th century.